Everyone loves a free lunch. Economists will tell you, though, that the free lunch doesn’t really exist: Someone picks up the tab for it, somewhere along the line. Giving away free goods or services can have hidden side effects, too. Back in the old days, saloons gave away free lunches to drinkers, who responded by—surprise!—drinking even more. Free parking can be a lot like that, says this month’s lead essayist, Donald Shoup. Regulations mandating free parking create less walkable cities. They contribute to suburban sprawl. They stop the renovation of historic buildings. Rather than planning for people, we’ve been planning for cars — at the expense of people. Shoup recommends removing some of these regulations. It’s a free-market way, he argues, to get the kinds of cities we really want. Urban planning entails setting the ground rules for some of the most complex social orders around, our cities. To discuss Shoup’s recommendations, we’ve invited a panel of distinguished urban economists: Clifford Winston of the Brookings Institution, Sanford Ikeda of SUNY Purchase College, and the Cato Institute’s own Randal O’Toole. In his book Great Planning Disasters, Sir Peter Hall defined a great planning disaster as a planning process that costs a lot of money and has gone seriously wrong. Urban renewal and high-rise public housing are classic examples. Many things in life cost a lot of money and go seriously wrong, however, so how does a great planning disaster differ from a great moviemaking disaster or a great catering disaster? One major difference is that individual investors, producers, or caterers bear the cost of their disasters. With a great planning disaster, almost everyone loses something. Cities should set the right price for curb parking, because the wrong prices produce bad results. Where curb parking is underpriced and overcrowded, a surprising share of traffic can be cruising in search of a place to park. Sixteen studies conducted between 1927 and 2001 found that, on average, 30 percent of the cars in congested traffic were cruising for parking. For example, when researchers interviewed drivers who were stopped at traffic signals in New York City, they found that 28 percent of the drivers on a street in Manhattan and 45 percent on a street in Brooklyn were cruising for curb parking. In another study, observers found the average time to find a curb space on 15 blocks in the Upper West Side of Manhattan was 3.1 minutes and the average cruising distance was 0.37 miles. These findings were used to estimate that cruising for underpriced parking on these 15 blocks alone creates about 366,000 excess vehicle miles of travel and 325 tons of CO2 per year. Free curb parking in a congested city gives a small, temporary benefit to a few drivers who happen to be lucky on a particular day, but it creates large social costs for everyone else every day. To manage curb parking and avoid the problems caused by cruising, some cities have begun to adjust their curb parking prices by location and time of day to produce an 85 percent occupancy rate for curb parking, which corresponds to one vacant space on a typical block with eight curb spaces. The price is too high if many spaces are vacant and too low if no spaces are vacant. But if one or two spaces are vacant on a block and drivers can reliably find open curb spaces at their destinations, the price is just right. We can call this the Goldilocks principle of parking prices. Some cities refer to the policy of setting prices to produce one or two open curb spaces on every block as performance pricing. It can improve performance in three ways. First, curb parking will perform more efficiently. If all but one or two curb spaces are occupied on every block, parking will be well used but also remain readily available for drivers who want to park. Second, the transportation system will perform more efficiently because cruising for curb parking will not congest traffic, waste fuel, pollute the air, and waste drivers’ time. Third, the economy will perform more efficiently. In business districts, drivers will park, buy something, and leave promptly, allowing other customers to use the spaces. San Francisco has embarked on an ambitious program, called SFpark, to get the prices of curb parking right. The city is installing meters that can charge variable prices and sensors that can report the occupancy of each space in real time. The city will thus have information on curb occupancy rates and the ability to adjust curb parking prices in response. The city intends to adjust prices once a month, never by more than 50¢ an hour. By nudging prices up or down in a trial-and-error process, the city will seek a structure of prices that vary by time and location throughout the city, yielding one or two open spaces on every block. The central idea of SFpark is that you cannot set the right price for curb parking without observing the occupancy. The goal is to set the lowest price that will yield one or two open spaces on every block. Figure 1 shows that nudging up the price on crowded Block A by enough to shift only one car to less crowded Block B can significantly improve the performance of the transportation system. This shift will eliminate cruising on Block A and take advantage of the empty spaces on Block B. Even if all the curb spaces are occupied on all the nearby blocks, shifting only one car per block from a curb space to nearby off-street parking can also eliminate cruising. Small changes in parking prices and location choices can lead to big improvements in transportation efficiency. Figure 1. Performance prices create open spaces on every block. Beyond managing the curb parking supply, SFpark can depoliticize parking by stating a clear principle for setting the prices for curb spaces: the lowest prices the city can charge without creating a parking shortage. Because San Francisco has set a policy goal for how curb parking should perform, the demand for parking will set the prices. Performance parking programs do not rely on complex models to set prices; they rely only on paying attention to the results. After shifting from a revenue goal to an outcome goal and choosing the occupancy rate as the desired outcome, the city council will no longer have to vote on parking prices. If too many curb spaces are vacant, the price will go down, and if no curb spaces are vacant, the price will go up. Wanting more money will no longer justify raising prices. Relying on the power of an impersonal market test to set prices makes an end run around the politics of parking. Often when I present a proposal for performance parking prices in a city, someone in the audience vehemently says something like “If this city operates the parking meters in the evening, I will never drive downtown to eat in a restaurant again.” This threat to boycott downtown restaurants would be a convincing argument if many curb spaces remained empty after the meters began operating in the evening. But this threat ignores the key argument for performance prices: If the meters are priced right, cars will fill most of the curb spaces, leaving only one or two vacant spaces on each block. If most curb spaces are filled, parking meters can’t be chasing all the customers away. Meters will chase away some drivers, but the curb spaces these drivers would have occupied will then become available to customers who are willing to pay for parking if they can easily find a convenient curb space. Because the curb spaces will remain almost fully occupied, merchants shouldn’t be alarmed that performance prices will harm their businesses. And who is likely to leave a bigger tip in a restaurant? Drivers who are willing to pay for parking if they can always find open curb spaces? Or drivers who will come only if they can park free after they circle the block a few times to find free parking? The benefits don’t stop with bigger tips. Whenever I am in a restaurant, I usually ask the waiters where they park. If the meters cease operating at 6 p.m. in the area, waiters often tell me they try to arrive shortly before 6 p.m. so they can find a meter and park free for the whole evening. But the curb spaces these waiters use are then not available for restaurant customers. If cities instead charge performance prices for curb parking and run the meters as late as needed to manage demand, waiters can park off-street or farther away in cheaper curb spots, making the most convenient curb spots available for more restaurant customers who can leave more tips for the waiters. Both common sense and empirical research suggest that performance-priced curb parking will motivate more people to carpool, because carpoolers can share the cost of parking while a solo driver pays the full cost. Waiters who park free at the curb will probably be solo drivers, but diners who pay to park may arrive with two, three, or four customers in a car. Further, performance prices will promote faster turnover because drivers will pay as long as they park. If a curb space turns over twice during the evening, each space can deliver two groups of diners to a restaurant rather than one waiter. For both reasons—higher-occupancy vehicles and faster turnover—performance prices for curb parking will attract more customers to a business district. With more customers, the restaurants can expand and hire more waiters and pay more in sales taxes. Charging performance prices to manage curb parking can thus benefit many people, including even those who don’t live in the metered areas. A further advantage of performance prices is that they will decline when demand declines during a recession. The price of curb parking will automatically fall to keep the customers coming. The cheaper curb parking will help businesses survive and prevent job losses. But if curb parking prices remain high during a recession, curb spaces will be underoccupied, stores will lose customers, and more people will lose jobs. If cities eliminate cruising by charging performance prices for curb parking, where will the cruising cars go? Because drivers will no longer have to arrive at their destinations five to ten minutes early to search for a curb space, their vehicle trips will be five to ten minutes shorter. The reduction in traffic will come not from fewer vehicle trips but from shorter vehicle trips. Everybody wants something for nothing, but we should not promote free parking as a principle for transportation pricing and public finance. Using performance prices to manage curb parking can produce a host of benefits for businesses, neighborhoods, cities, transportation, and the environment. Parking wants to be paid for. Drivers want to park free, and that will never change. What can change, however, is that people can want to charge for curb parking. The simplest way to convince people to charge for curb parking in their neighborhood is to dedicate the resulting revenue to paying for added public services in the neighborhood, such as repairing sidewalks, planting street trees, and putting utility wires underground. That is, the city can offer each neighborhood a package that includes both performance-priced curb parking and the added public services financed by the meters. Performance pricing will improve the parking and the revenue will improve the neighborhood. The people who live and work and own property in the neighborhood will see the meter money at work, and the package will be much more popular than meters alone. Two examples illustrate this point. Old Pasadena, a historic business district in Pasadena, California, is the leading example of a battered area that dramatically improved after the city used parking meter revenue to finance added public services. Spending more than $1 million a year of meter money on new public services helped convert what had been a commercial skid row into one of the most popular tourist destinations in southern California. If all parking revenue disappears into a city’s general fund, business leaders and residents probably won’t campaign for meters, even with all the sophisticated hardware now available to charge performance prices. If meter money stays in the neighborhood, it will probably be spent on things the residents value highly. And if new public spending in a neighborhood is financed by new revenue generated in that neighborhood, residents in the rest of the city will probably find this spending more acceptable. In 2005, Redwood City, California, south of San Francisco, adopted legislation establishing a performance parking policy and returning the meter revenue to the metered district. The city council set a performance goal for curb parking—a target occupancy rate of 85 percent—and gave city staff the responsibility for adjusting prices to achieve the target occupancy. The council thus set parking policy, not parking prices. The council also dedicated the meter revenue to pay for public improvements in the metered zone. Once the merchants understood that the revenue would remain in the metered district, they strongly backed the proposal, and the members of the city council voted for it unanimously. When Redwood City began to charge performance prices for curb parking, it also removed the time restrictions at meters, and this has been the program’s most popular feature. Because curb parking prices are higher than the adjacent off-street prices, most drivers who want to park for a long time naturally choose the off-street spaces. Removing time limits for curb parking is especially important if meters operate in the evening. Having a one-hour time limit can make the curb spaces almost useless for people who want to dine in a restaurant or go to a movie. In 2009, desperate for new revenue, Los Angeles extended the hours of meter operation to 8 p.m. in business districts but left many of the one-hour time limits in place. As a result, many spaces remain empty in the evening and most revenue is from tickets for overtime parking. The time limits harm the adjacent businesses by making it difficult for restaurant or theater patrons to park and by irritating customers who get tickets. If customers have convenient curb parking, businesses will prosper and the city will receive more sales tax revenue, so removing time limits and pricing curb spaces to yield one or two vacancies in each block can help everyone. Reform is not only adopting good policies but also repealing bad policies. Requiring all buildings to provide ample parking is one such bad policy that cities should repeal. In Greek mythology, a cornucopia always overflowed with whatever its owner wanted. Requiring ample parking does give us all the free parking we want, but it also distorts transportation choices, debases urban design, damages the economy, and degrades the environment. Some cities have begun to remove minimum parking requirements, at least in their downtowns, for two reasons. First, parking requirements prevent infill redevelopment on small lots, where fitting both a new building and the required parking is difficult and expensive. Second, parking requirements prevent new uses for many older buildings that lack the parking spaces required for the new uses. A search of newspaper articles about minimum parking requirements found 129 reports of cities that have removed off-street parking requirements in their downtowns since 2005. Although newspaper articles do not represent what all cities are doing, the articles include many comments on why cities are beginning to change their policies. Some of the reasons given for removing parking requirements are “to promote the creation of downtown apartments” (Greenfield, Massachusetts), “to see more affordable housing” (Miami), “to meet the needs of smaller businesses” (Muskegon, Michigan), “to give business owners more flexibility while creating a vibrant downtown” (Sandpoint, Idaho), and “to prevent ugly, auto-oriented townhouses” (Seattle). Removing a parking requirement is not the same, however, as restricting parking or putting the city on a parking diet. Rather, parking requirements force-feed the city with parking spaces, and removing a parking requirement simply stops the force-feeding. Ceasing to require off-street parking gives businesses the freedom to provide as much or as little parking as they like. Cities can remove minimum requirements without imposing maximum limits, and opposition to parking limits should not be confused with support for minimum requirements. Minimum parking requirements may be our most disastrous experiment ever in social engineering, and ceasing to require off-street parking is not social engineering. Many older downtowns have some wonderful buildings in terrible condition. Minimum parking requirements make restoring these historic buildings difficult or impossible because they rarely have all the parking spaces cities require for new uses. Spring Street in Los Angeles, once known as the Wall Street of the West, is a prime example. It has the nation’s largest collection of intact office buildings built between 1900 and 1930. Starting in the 1960s, the city’s urban renewal program moved most office uses a few blocks west to Bunker Hill and left many splendid Art Deco and Beaux Arts buildings on Spring Street vacant except for retail uses on the ground floor. 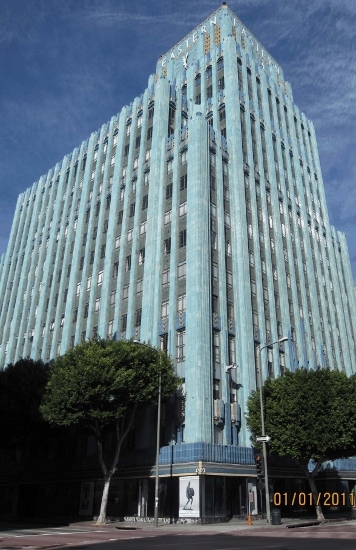 In 1999, Los Angeles adopted its Adaptive Reuse Ordinance (ARO), which allows the conversion of economically distressed or historically significant office buildings into new residential units—with no new parking spaces. Before 1999, the city had required two parking spaces per condominium unit in downtown Los Angeles; in effect, the city was assuming that no housing was better than any housing without all the required parking spaces. Michael Manville studied the results of the ARO and found that many good things can happen when a city removes its parking requirements. The ARO also exempts the converted office buildings from other planning requirements, such as density and height limits for residential uses, so the exemption from parking requirements isn’t the sole reason for the conversions. Nevertheless, if the city hadn’t removed the parking requirements these conversions couldn’t have occurred, and the conversion boom shows that there is a residential market for people who don’t own two cars. These results strongly suggest that until the ARO was adopted, minimum parking requirements had been preventing the restoration and conversion of many obsolete office buildings into housing. The ARO also produced other benefits. It allowed the preservation of many historic buildings that had been vacant for years and might have been demolished if minimum parking requirements had remained in place. (See Figure 2) Historic buildings are a scarce resource in any city, and the evidence shows that parking requirements stood in the way of preserving these buildings. The ARO applied only to downtown when it was adopted in 1999, but the benefits were so quickly apparent that it was extended citywide in 2003. We usually can’t see things that don’t happen or count things that don’t occur, but the beautifully restored buildings on Spring Street give us some idea of what other cities are missing. Figure 2. 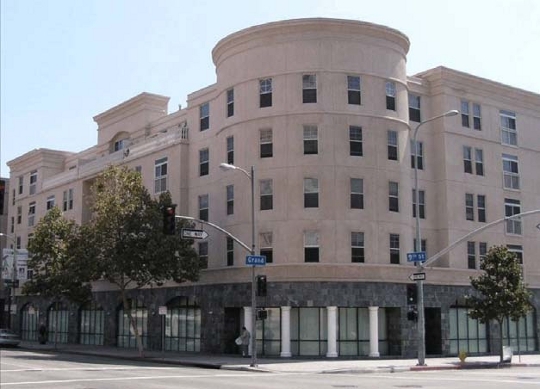 Office building in Los Angeles converted to housing without adding on-site parking. Suburban governments often require more space for cars than for people. 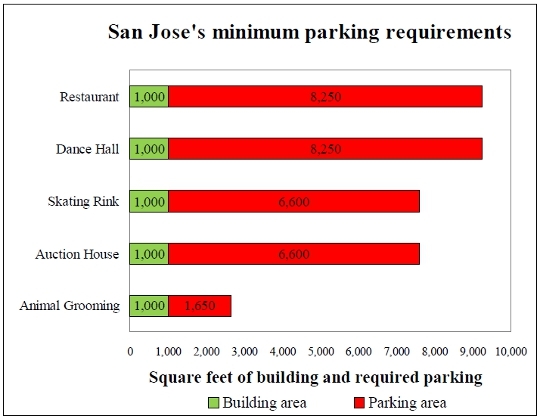 Figure 3 shows the relationship between buildings and the required parking for several land uses in San Jose, California. The area required for parking at a restaurant, for example, is more than eight times larger than the dining area in the restaurant itself. Even if the required parking is used only intermittently, as at an auction house, the city requires the parking lots to be big enough to meet the peak demand for free parking. High parking requirements help to explain the parking-dominated landscape in many parts of San Jose and the rest of Silicon Valley. Developers rarely provide more parking than cities require, so the buildings in the picture are probably as dense as they can be by law. Many of the spaces, especially the ones at the periphery of the parking lots and adjacent to the streets, remain vacant almost all the time. So what would happen if San Jose removed off-street parking requirements, charged performance prices for on-street parking, and returned the resulting revenue to the metered neighborhoods? Property owners might decide their land was more valuable for housing than for vacant parking spaces. Figure 4. 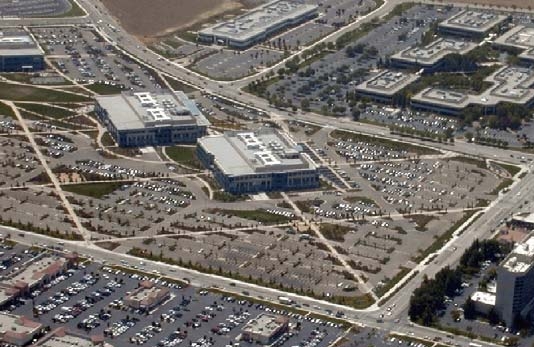 Parking lots in Silicon Valley before and after liner buildings. Everyone in Silicon Valley complains about high housing prices, long commutes, traffic jams, air pollution, and the difficulty of attracting employees. Building housing on the periphery of parking lots would help to solve all these problems. The bottom picture in Figure 4 suggests what might happen without minimum parking requirements. If apartment buildings were built next to the sidewalks, anyone walking, biking, or driving by would see what looks like a real city. The smartest way to travel is to be near your destination already, and this job-adjacent housing would give commuters out-of-car experiences while walking to work. New urbanists refer to buildings that mask a parking lot or garage from the street as liner buildings. Figure 5 shows one of the liner buildings inserted in the bottom picture in Figure 4. The term liner suggests that the wrapping is a superficial way to hide what is inside, but in this case the wrapping would probably be far more valuable than the parking spaces it would replace. Parking is probably the least profitable use of this peripheral land since almost any other use would yield far more revenue. In parking, as in everything else, there are opportunity costs. The five-story apartment buildings shown in Figure 5 are not the only option for liner buildings. Courtyard apartments, row houses, office buildings, stores, restaurants, or even single-family houses might be the best use for the land on the periphery of a parking lot. Liner buildings can create the atmosphere of a city, not a parking lot. If cities stop requiring off-street parking, vast suburban parking lots can evolve into real communities. The land is already assembled, and the housing could be built without new parking because the existing spaces could be shared between office buildings and apartments. To avoid a parking shortage, the owner would probably have to unbundle the cost of parking from the rent for both apartments and offices, so car owners would pay only for the parking spaces they use. Some residents who work in a nearby office building may find they could easily live with only one car, and they would appreciate the freedom to rent an apartment without paying for two parking spaces. If cities remove off-street parking requirements, they will have to charge performance prices for the curb spaces to prevent spillover, but this will produce another great benefit: All the money paid for curb parking will become a new revenue stream to pay for local public services. Curb parking will become too valuable not to meter. Removing the parking requirements for both housing and offices can produce a cascade of benefits: shorter commutes, less traffic, a healthier economy, a cleaner environment, and more affordable housing. And the benefits don’t stop there. If we reform our misguided planning for parking, the money now spent on cars and fuel will become available for other things. Cars and fuel are often imported, but we cannot import apartment buildings. Shifting spending from cars, fuel, and parking to housing construction will increase the demand for labor in a host of professions, such as architects, carpenters, electricians, engineers, gardeners, glaziers, laborers, lawyers, locksmiths, painters, plumbers, real estate agents, roofers, surveyors, and even urban planners. Importing less oil and hiring all these people to build infill development will boost the whole economy. The upside of the mess we have made is that we have an accidental land bank readily available for job-adjacent housing. This land is now locked up in required parking, but if cities remove their unwise parking requirements we can reclaim land on a scale that will rival the Netherlands. A LOVE AFFAIR OR AN ARRANGED MARRIAGE? Some people assume that America has a freely chosen love affair with the car. I think it was really an arranged marriage. By recommending minimum parking requirements in zoning ordinances, the planning profession was both a matchmaker and a leading member of the wedding party. 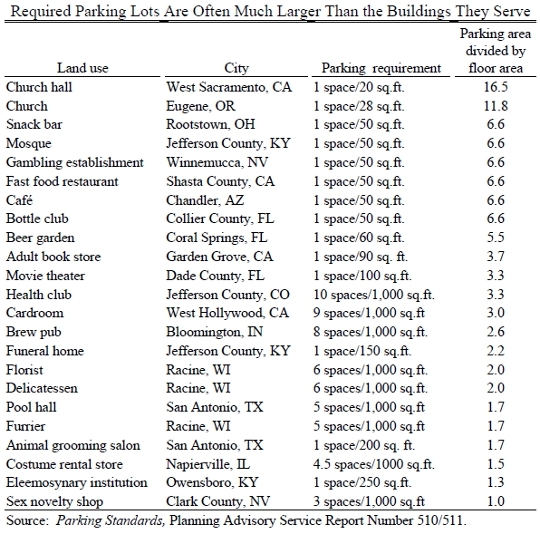 Table 1 shows the large amount of parking that cities require for many land uses. The data are taken from the American Planning Association’s latest survey of parking requirements for 662 different land uses in American cities. For example, West Sacramento, California, requires 1 parking space per 20 square feet of floor area in a church hall. Because parking lots occupy about 330 square feet per parking space, a parking requirement of 1 space per 20 square feet of floor area produces a parking lot that is 16.5 times the size of the church hall itself (330 ÷ 20 = 16.5). Requiring any building to provide more than 3 spaces per 1,000 square feet of floor area produces a parking lot bigger than the building itself (because 3 parking spaces occupy 990 square feet), and most parking requirements are greater than 3 spaces per 1,000 square feet. These excessive requirements create what amounts to parking pollution in cities. Parking requirements create winners and losers: people win in their role as drivers, and they lose in their many other roles. People who don’t own cars don’t organize to change the system, however. Instead, most of them change their behavior to join the winners. More people buy cars, cities further increase their parking requirements, and the system becomes even more difficult to reform. Because cities sprawl faster and farther, cars become necessary for almost every errand. Even those who prefer a less automobile-dependent lifestyle find themselves in the motoring majority, driving everywhere, cursing congestion, staring at taillights, inhaling exhaust, and expecting to park free when they get wherever they are going. Academic research has repeatedly shown that minimum parking requirements inflict widespread damage on cities, the economy, and the environment. But this research has had little influence on planning practice. Most city planners continue to set minimum parking requirements as though nothing had happened. The profession’s commitment to minimum parking requirements seems to be a classic example of groupthink, which Yale professor of psychology Irving Janis defined as “a mode of thinking that people engage in when they are deeply involved in a cohesive in-group, when the members’ striving for unanimity overrides their motivation to realistically appraise alternative courses of action.” The process of setting minimum parking requirements displays most of the symptoms of defective decision making that Janis identified with groupthink: incomplete survey of alternatives, incomplete survey of objectives, failure to examine risks of preferred choice, poor information search, and selective bias in processing information at hand. Unfortunately, academic research on parking has had little effect on practitioners’ groupthinking, even though the research shows that a central part of the practice does so much harm. Requiring Peter to pay for Paul’s parking, and Paul to pay for Peter’s parking, was a bad idea. People should pay for their own parking, just as they pay for their own cars and their own gasoline. The planning profession has given cities bad advice about parking requirements, which have misshaped our cities to fit the car—almost without planners’ noticing it. Parking requirements hide the cost of parking, but they cannot make it go away. Free parking often means fully subsidized parking. At the very least, parking requirements should carry strong warning labels about all the dangerous side effects. Despite institutional inertia in the practice of planning for parking, reforms are sprouting. Paradigm shifts in urban planning are often barely noticeable while they are happening, and after they have happened it is hard to tell that anything has changed. But shifts happen. Planners simply begin to understand cities in a new way and can scarcely remember a time when they understood cities differently. The incremental reforms now under way suggest that off-street parking requirements will not quickly disappear but will gradually erode. Cities may slowly shift from minimum parking requirements to performance parking prices without explicitly acknowledging that planning for parking had ever gone wrong. Eventually, however, planners and politicians may recognize that minimum parking requirements were a poisoned chalice, providing ample free parking while hiding the many costs. All parking is political, and the prospects for parking reform depend on what the political context allows. Diverse interests from across the political spectrum can for different reasons support a shift from minimum parking requirements to performance parking prices. Liberals will see that it increases public spending. Conservatives will see that it reduces government regulation. Environmentalists will see that it reduces energy consumption, air pollution, and carbon emissions. Businesses will see that it unburdens enterprise. New urbanists will see that it enables people to live at high density without being overrun by cars. Libertarians will see that it increases the opportunities for individual choice. Developers will see that it reduces building costs. Neighborhood activists will see that it devolves public decisions to the local level. Local elected officials will see that it reduces traffic congestion, encourages infill redevelopment, and pays for local public services without raising taxes. The current system of planning for parking does such widespread harm that the right reforms can benefit almost everyone. But all these people also want to park free. They may not have an ideological or professional interest in free parking, but they do have a personal interest in it. This personal interest in free parking helps explain the popularity of minimum parking requirements. But the right use of parking meter revenue can also create a countervailing personal interest in charging for curb parking. Cities can create the necessary political support for performance parking prices by dedicating the meter revenue to pay for enhanced public services on the metered streets. Localizing the revenue from parking meters will create local interest in market prices for parking. Instead of free parking, we can have a free market in parking. Market prices can manage the demand for parking spaces. If cities continue to offer free curb parking and require ample off-street parking, it won’t be because prices don’t work but because planners and politicians choose not to change course. There is a way, but we need the will. In both sprawling rich cities and crowded poor cities, charging performance prices for curb parking, spending the revenue on local public services, and removing off-street parking requirements can do a world of good. Manville, Michael. “Parking Requirements as a Barrier to Housing Development: Regulation and Reform in Los Angeles.” UCLA Lewis Center Working Paper, University of California, Los Angeles, 2010, p 17. Janis, Irving. Groupthink: Psychological Studies of Policy Decisions and Fiascoes. Boston: Houghton Mifflin, 1982. Other definitions of groupthink emphasize conformity and uncritical acceptance of a perceived majority point of view; the lack of creativity or individual responsibility in making decisions; the search for consensus without critically testing, analyzing, and evaluating ideas; the desire to minimize conflict; and making decisions without weighing all the facts, especially those contradicting the majority opinion. Donald Shoup has done some excellent work on parking issues, and I fully support his proposals for market pricing of on-street parking and eliminating minimum-parking requirements for developers. I question, however, his proposal for what to do with the revenue from on-street parking and his closing diatribe against urban sprawl. As Dr. Shoup is fully aware, American cities are at the heart of a battle over the future of American mobility. Urban planners and others seek to greatly reduce the role of the automobile in our future. The state of Washington has even passed a law mandating a 50 percent reduction in per capita driving by 2050. Dr. Shoup’s rhetoric about the evils of urban parking and its contribution to so-called sprawl helps to incite those who are trying to reduce our mobility. Few Americans today realize how much the automobile has revolutionized our society because we take automotive transportation for granted. If people notice cars at all, many see only bad things, such as pollution, energy consumption, and accident fatalities, while they are ignorant of the good things, such as a huge increase in worker productivities and incomes, better housing, and broad access to a wide array of consumer goods. With almost 19 out of 20 American families owning at least one car, the automobile has democratized mobility, offering freedom to nearly all people regardless of income, race, or gender. Before Henry Ford started producing his Model Ts on a moving assembly line, most Americans had little more mobility than they had when George Washington took office as president in 1789. Intercity trains and streetcars were affordable only to the wealthy and urban middle class (white collar workers); ruralites and working-class families had no access to or could not afford mechanized travel. As a result, the average American in 1910 traveled little more than 1,000 miles a year by train or urban transit. Today, the average American travels nearly 19,000 miles a year, 85 percent of it by car. Many of the thorny problems created by this huge increase in automobility have resulted from government ownership and control of highways and streets. This in turn happened because the automobile’s ascendancy coincided with the Progressive era. Railroads were considered evil monopolies, so most people agreed that roads and streets should be publicly owned. An elite cadre of engineers would scientifically manage the roads for safety and efficiency and pay for them out of gasoline taxes that all the states enacted as a form of highway user fee between 1919 and 1930. While the engineers did a credible job of building and managing increasingly safe and efficient highways, inevitably there was political interference with their work. One form of interference was the push to give certain parties something for nothing, such as free on-street parking. In this case, the parking was not a subsidy to motorists as much as it was a subsidy to downtown businesses that had to compete with suburban shopping areas that (because suburban land was much less expensive than downtown land) could cheaply offer free parking. As Dr. Shoup notes, free on-street parking led to unnecessary driving as some motorists searched for an available parking space. This in turn led cities to demand that businesses internalize this externality by imposing minimum parking requirements. Those minimum requirements were supposedly scientifically derived, but may often have been arbitrary. It makes sense to raise on-street parking fees in congested areas to market rates. Afterward, cities can dispense with the minimum parking requirements that were only necessary because of the problems caused by free or below-market-rate on-street parking. I have a problem, however, with Dr. Shoup’s proposal for what to do with surplus on-street parking revenues. He suggests using this revenue to subsidize “public services.” In other words, to subsidize the property owners in the vicinity of the on-street parking, giving them an advantage over property owners elsewhere. This is far from a free-market solution. A private company offering parking would use surplus revenues from that parking to create more parking until the marginal cost of the last parking space created equaled the marginal revenue from renting out that space. That is the market solution, not subsidies to adjacent property owners. Portland, Oregon uses revenues from on-street parking to subsidize its downtown streetcar. It then uses tax-increment financing to subsidize infrastructure, including off-street parking garages, for development along the streetcar line. The off-street parking garages attract businesses like Whole Foods—businesses that could not possibly survive based on streetcar traffic alone—to operate in the downtown area. The city receives accolades for being pro-transit when really it is subsidizing downtown property owners. The development that takes place near the streetcar line/parking garages would have taken place somewhere in the Portland area, but the subsidies attract it to downtown instead of elsewhere where it would have cost less. This isn’t what Dr. Shoup intends when he proposes to use parking fees to subsidize development, but it is the real-world result of such a policy. Similar perverse results are taking place in response to Dr. Shoup’s other recommendations. Instead of just eliminating minimum-parking requirements, many cities are substituting maximum-parking requirements. Their goal is to deliberately create parking shortages in order to reduce driving and low-density development, which planners call sprawl. Dr. Shoup supports this anti-driving campaign when he argues that “parking requirements (and the free parking they produce) accelerate sprawl.” I see little evidence that this is true. Instead, so-called sprawl is a result of people’s preferences to have mobility and the benefits it provides including higher incomes, better housing, and access to low-cost consumer goods and a variety of social and recreational opportunities. Dr. Shoup’s examples of the negative effects of free parking are all taken from dense cities that are unrepresentative of most of America. New York is America’s densest city, and it is certainly absurd for it to offer free on-street parking. But Manhattan is more than 20 times denser, and New York City as a whole is nearly 10 times denser, than the average American urban area, so what happens in New York is not at all representative of the rest of America. To find out what cities would be like without minimum-parking requirements, we must turn to Texas, where counties aren’t even allowed to zone, much less impose minimum-parking requirements. This means developers are free to build for the market, not for urban planners. While cities are allowed to zone, for the most part they maintain minimal restrictions so as not to lose potential tax-paying developments to areas outside their jurisdiction. The result, as anyone who as toured Dallas, Houston, or San Antonio knows, is large amounts of low-density development supported by plenty of off-street parking, all without minimum-parking requirements (at least outside of city limits). Personally, I would not object if market pricing of on-street parking and elimination of minimum-parking requirements led to denser development of some areas. If there is a market for such development, I am all for it. The problem is that America is suffering from an elitist backlash against low-density development, and that backlash is leading to all sorts of absurd rules such as urban-growth boundaries that create artificial land shortages, maximum-parking limits, and subsidies to high-density development. Dr. Shoup’s rhetoric, if not his actual proposals, feeds that backlash. American urban politics are heavily influenced by a powerful anti-automobile movement that sees nothing wrong with reducing people’s mobility so that more people can “enjoy the benefits” of living Manhattan or Brooklyn lifestyles. I hope that Dr. Shoup and I can agree that the purpose of market-based pricing of parking and roads should be to enhance freedom and mobility, not to discourage it. There are many scarce resources that urbanites enjoy at a “zero price” (ZP) besides curbside parking. Sidewalks come to mind, and they, too, are subject to congestion problems owing to the absence of clear property rights. But the congestion externalities from ZP parking are probably among the most serious: extended commuting times, pollution from slow-moving vehicles, etc. I like Professor Shoup’s approach to these problems, and his proposal to institute “performance pricing” (PP) for curbside parking spaces and to channel those revenues to the owners of properties that abut them is sound. I also think it’s a good idea to get rid of off-street parking (OSP) requirements, which may to some degree encourage in-fill and new construction, lower the cost of land-use conversions, increase the variety and quantity of construction, and create a richer and denser urban environment. I do have some criticisms, which I will enumerate at the end. His analysis made me think of “Nickel Beer Night” that some bars offer. The analogy isn’t perfect because bars are owned by individuals, whereas of course the neighborhoods in which curbside parking takes place generally aren’t—at least not yet. (More on that later.) Still, it was helpful for me to frame it this way. A bar owner may find it profitable on some nights to charge a nickel for a glass of beer. While she bears the cost of lost revenue from what she could have earned selling at regular prices, in her estimation it’s more than made up for by the increase in sales of burgers and fries, and by the reputation as a lively hang out that large crowds will bring her. Her customers of course bear the cost of longer waits, overcrowding, and noise. If she’s being entrepreneurial she will take such costs into account by monitoring whether she loses customers or sees a drop in her bottom line. If it’s profitable she’ll continue; but if it’s not, she won’t. Let’s suppose she doesn’t think it’s profitable, but the government orders her to charge a nickel per glass anyway. Unless the government happens to be a better entrepreneur than the owner, her customers will complain more about overcrowding. To address these complaints the government now mandates a minimum upgrade in the food served—say, from burgers to caviar—for which she may charge the market price. But her customers would rather pay a higher price for beer, with less crowding, and so would she. The owner and her customers would be a little happier if, keeping the nickel beer policy in place, the government left any food upgrade up to her; perhaps it would be steak instead of caviar. Or, keeping the caviar mandate in place, they would be a little happier if she were permitted to charge the market price for beer, reducing overcrowding. Of course, the owner and her customers would be best-off if neither nickel beer nor caviar were forced down their throats. Obviously, ZP parking is like nickel beer. OSP is the caviar mandate, and so we are brought to Professor Shoup’s proposal: institute performance pricing (PP) for curbside parking and remove OSP minimums. Potentially everyone would be better off. In real life, public authorities tend to respond to the consequences of their prior interventions with even more interventions. So, instead of removing the nickel-beer and caviar mandates, it’s likely they’ll order the bar to charge an entry fee gauged to the density of the crowd. Similarly, cities like London today charge drivers “congestion prices” for entering downtown at certain hours; New York City is considering this as well. It’s a nice cash cow. But it would be superfluous if performance pricing for street parking effectively reduced traffic congestion. Not only would it be far less costly than adding freeways or mass transit, it would probably to be less subject to rent-seeking, and much less interventionist than piling congestion pricing onto ZP parking and OSP minimums. Professor Shoup recommends directing revenues from PP parking spaces back to the property owners these spaces abut. He argues that this will help overcome political resistance to his proposal arising from “groupthink” and Prisoners’ Dilemma problems (i.e., all may agree that PP’s a worthy idea but no one wants to lose his ZP parking). In his book The High Cost of Free Parking he recommends that these funds be used for sidewalk and road maintenance. This makes sense to me as far as it goes. Devolving the pricing decision and revenues back to the relevant owners conforms to the sound principle of bringing collective-action decisions to the most local level of governance practicable. What Professor Shoup is proposing, in other words, is consistent with a movement toward the privatization of urban land and land-use decisions. The following are roughly in order of increasing importance. Professor Shoup could be more explicit in identifying the two distinct sides of the cost of ZP parking. On the one hand, there is the cost to the driver in the form of longer commutes and the like, and on the other there is the cost to the property owner, in the form of lost rents. This would also make it clearer that such rents tend to go to drivers with the lowest time cost instead of (a) the property owners and (b) drivers who attach a higher marginal value to parking but who can’t find a space. Minimum parking requirements, as bad as they are, are NOT “our most disastrous experiment ever in social engineering.” It’s easy to think of quite a few other social-engineering experiments here that have been at least as bad if not orders of magnitude worse: rent control, The Great Society, nation building, slavery. He claims his proposal will reduce of imports, such as cars, and raise production of domestic goods. That may well be, but from the economic point of view, of course, it makes no difference whatever where the products that satisfy domestic consumer demand come from. There’s nothing wrong with imports, per se. The demand for car imports and such may be artificially boosted by ZP pricing and OSP minimums, but the problem lies with the policies not the imports. As I argued above, PP parking does not quite constitute a “free market in parking” as Professor Shoup asserts, but is rather a quasi-free-market solution. In his Chapter 17 of The High Cost of Free Parking, he urges that the revenues generated by parking fees channeled back to the respective block associations be used for sidewalk and street repair. If I’m interpreting him correctly here, then why can’t these groups be permitted to spend the money on whatever they see fit? For example, hiring private security or throwing a block party may be more important in some situations than sidewalk repair. Also, while I think his proposal is a big step in the direction of privatizing urban space, a more complete privatization of streets and curbs (in some or all areas of the city) would open the way to at least one other market-based solution to urban immobility: the private provision of competitive intra-city mass transit. Fixed-rail transport, the darling of local politicians seemingly everywhere, is manifestly grossly inefficient. But as Daniel Klein and other have pointed out, the problem with competition among private buses and jitneys (i.e., multi-passenger vehicles that provide service more regular than taxis but with more flexible routes than busses) has been how to prevent interlopers from swooping in and taking customers from a particular company just before its bus is scheduled to arrive. Privatizing curb rights, by clearly defining a company’s property rights, makes it more feasible to enforce those rights against interlopers. It would be a necessary step in establishing beneficial competition among rival companies. Apart from some minor reservations, then, I like Professor Shoup’s way of handling congestion externalities. I like it much more than congestion pricing, which attempts to mitigate traffic problems that are themselves largely the result of prior interventions with even more intervention and a reduction in privacy. His solution goes against this pervasive political trend. It’s more finely tuned and addresses more directly the source of these problems. This is something that Peter Gordon and I discuss in “Power to the Neighborhoods: The Devolution of Authority in Post-Katrina New Orleans,” Mercatus Policy Series, Policy Comment No. 12 (August 2007). Dan Klein, Adrian T. Moore, and Binyam Reja, “Curb Rights: Eliciting Competition and Entrepreneurship in Urban Transit,” The Independent Review (Summer 1997). Road pricing or congestion tolls are based on the principle that there is an opportunity cost of scarce highway capacity because a motorist’s use of that capacity delays other vehicles on the road, especially during peak travel periods of the day. An efficient congestion toll applied to all drivers on a congested road bridges the gap between the average private cost of drivers’ trips and the marginal social cost of their trips by making them pay for their contribution to the delays imposed on other drivers; hence, scarce road capacity is used efficiently by drivers whose marginal benefit of driving equals or exceeds the marginal social cost of their trips. Donald Shoup extends the idea of pricing scarce highway capacity to pricing scarce parking capacity, which is provided free to motorists on certain streets as curb parking. The idea is a good one and I will outline how the case for it can be strengthened by drawing on economists’ efforts to build the case for efficient road pricing. Anyone who reads a daily newspaper is probably familiar with the Texas Transportation Institute’s Urban Mobility Report, which every year generates a front-page story about the annual traffic delays in U.S. metropolitan areas and the annual cost of congestion, accounting for travel delays and wasted fuel. That figure is now approaching $100 billion. Professor Shoup’s paper provides some anecdotal evidence about the delays incurred in finding parking spaces, but it would be useful to have a broader overview of the problem. What is the share of parking capacity in metropolitan areas, either an average or a summary of the top 20 cities, which consists of curb parking, public lots, and private lots? Does curb parking constitute a large share of parking capacity? How much of that capacity is available at no charge or very low prices? Basic stylized facts should indicate that a scarce resource is being underpriced, resulting in excess demand for parking spaces and significant social costs in additional congestion and search costs, which could be in the billions of dollars. The notion of performance pricing that Professor Shoup mentions can be made more precise. Efficient prices cause motorists to take account of the social costs of using scarce curb parking places. Similar to congestion pricing, optimal parking charges would result in curb parking being used by motorists whose marginal benefit of parking exceeds or is equal to the marginal social cost of parking. Optimal curb parking prices should be determined using this framework and the effects of those prices on motorists’ and social welfare should then be assessed empirically. Professor Shoup does not report empirical estimates of the welfare effects of efficient parking charges, and I was unable to find any credible studies. Developing such evidence for a base case and various extensions is an important area of future research to help motivate the issue for policymakers and to guide analysts’ thinking about the political obstacles to setting parking charges in formerly free parking spots. Base Case. A base case analysis would establish some preliminary magnitudes of the benefits and costs of efficient curb parking prices. Motorists would incur out-of-pocket costs from higher parking charges. Those costs would be offset by the time savings from having to search for a parking place and the delay savings to other motorists who are driving in the area. The local government would gain from parking revenues and the net welfare effects would be positive. But the specific magnitudes would tell us whether the welfare gain is large and how much redistribution is involved. It would also be useful to examine how the base case results are affected by the introduction of efficient road pricing, which could be set on local streets using modern technology and would mitigate much of the congestion delays incurred by motorists. Is there much to be gained from parking charges once traffic congestion is efficiently priced? Would parking and congestion pricing complement each other and generate substantial gains? Similarly, would the introduction of new communications technology that makes it much easier for motorists to locate available parking places, thereby reducing search costs and congestion, accomplish much of pricing’s efficiency gains? Would such technology if accompanied by pricing, as envisioned to some extent in San Francisco’s SFpark experiment, generate even larger gains? Extensions. The base case employs a simple framework and does not consider other effects of parking charges, which may produce additional welfare gains. Parking charges could have a positive effect on the value of houses in nearby residential areas and on the profitability of certain businesses by reducing congestion and improving accessibility. Changes in home prices may even change land use and residential densities. Langer and Winston (2008) found that the gains from congestion pricing substantially increased from changes in land use that led to a reduction in sprawl and greater density. Professor Shoup makes an important argument that land use would significantly improve if cities abolished minimum parking requirements that force certain office buildings and business establishments to allocate large amounts of land for parking, thus diverting that land from more productive uses. Efficient parking charges would complement that policy by making the most efficient use of the land—curb space—that is used for parking. Instituting efficient parking charges would result in winners and losers, and it is important for proponents of the policy to accentuate its benefits and explore ways to soften the losses. As noted, parking charges would generate substantial revenues to the local government. Professor Shoup suggests that those funds should be used to pay for local services, but during a time of severe budgetary pressures on all levels of government it might be more effective politically to stress that those funds could forestall cutbacks in public services and layoffs of public sector workers. The key to ameliorating motorists with low values of time, who would clearly lose from higher parking charges, is to differentiate charges so those motorists have the option to pay low prices to park. Note the political strength of High Occupancy Toll (HOT) lanes; these set congestion tolls on part of the highway, so that motorists have the option to use unpriced lanes. Parking spaces with lower charges would be further away from the most heavily traveled streets and commercial areas but still within reasonable walking distance to stores and public venues. The big white elephant in the discussion is that efficient parking charges represent a fundamental reform of government policy, while there is little evidence that government actually reforms its policies to generate efficiency improvements (Winston 2006, for example). Indeed, the failure to price curb parking is only one of several inefficiencies in road infrastructure policy that has not been corrected. Congestion pricing on HOT lanes is a recent example of an efficient pricing reform; but HOT lanes account for a tiny fraction of road travel in the country, and the failure to price all lanes generates inefficiencies. Moreover, even if local governments implemented parking charges, concerns exist that the charges would not be efficient—or nearly efficient—and that a nontrivial portion of the revenues would be used for inefficient purposes. An alternative perspective is that the road system, including local streets that offer curb parking, should be privatized because private operators would have incentives to manage and operate the system efficiently and would make optimal use of existing road capacity. Of course, there are concerns that privatization would result in monopolies that charge excessive prices and provide poor service. I do not have the space to take up the privatization debate here, but I can report that Winston and Yan (2011) provide evidence that highway privatization can benefit motorists if prices and capacities are determined in a bargaining framework and if they reflect motorists’ heterogeneous preferences for highway services. Similarly, motorists may have varying preferences for curb parking—some motorists may be willing to pay a premium for a space to eliminate search costs and be close to their destinations; others may prefer to pay less to park in less convenient spots. Public and private lots offer such differentiated services to some extent but their pricing schedule tends to favor long stays. Charges for curb parking that vary appropriately by time of day and location may expand the range of price and parking options for motorists and improve their welfare by catering to their preferences. Langer, Ashley and Clifford Winston. 2008. “Toward a Comprehensive Assessment of Road Pricing Accounting for Land Use,” Brookings-Wharton Papers on Urban Affairs, pp. 127-175. Winston, Clifford. 2006. Government Failure Versus Market Failure, Brookings Institution, Washington, DC. Winston, Clifford and Jia Yan. 2011. “Can Privatization of U.S. Highways Improve Motorists’ Welfare?,” Journal of Public Economics, forthcoming. Is there any conflict between free parking and a free market in parking? This question came up last year during a spirited online debate with Randal O’Toole. The debate centered on government regulation of off-street parking, and it took an unexpected turn. I, an urban planner, strongly criticized cities’ requirements for off-street parking while O’Toole, a libertarian, said the requirements don’t do any harm. I advocated fair market prices for on-street parking, while O’Toole downplayed the problems caused by free curb parking. I was delighted when Jason Kuznicki asked me to write about the issue for Cato Unbound, and asked Randal O’Toole, Sanford Ikeda, and Cliff Winston to respond to my essay. And I was also pleased to see that two of the three—Ikeda and Winston—fully agreed with my recommendations to remove minimum parking requirements, charge market prices for curb parking, and use the meter revenue to finance local public services. All three responses have brought up some important new issues that I will discuss: restrictions on parking, lessons from Texas, employer-paid parking, the political feasibility of charging for curb parking, and privatizing curb parking. Randal O’Toole says in his essay, “Instead of just eliminating minimum-parking requirements, many cities are substituting maximum-parking requirements.” Are many cities really eliminating their minimum parking requirements and imposing maximum parking requirements? No, they are not. A few cities have eliminated minimum parking requirements, but only in their central business districts. Even fewer cities—such as New York, San Francisco, and Philadelphia—have imposed maximum parking requirements, also only in their central business districts. When it comes to parking, cities almost always require rather than restrict it. Parking spaces are essential for automobile travel, almost as oxygen in the atmosphere is essential to life. As a result, most people seem to think that parking requirements are an essential feature of city planning, but, as Cliff Winston says, economists have only recently begun to study the cost of these requirements. For example, a large-scale econometric study found that minimum parking requirements significantly increase the number of parking spaces in cities. Bowman Cutter, Sofia Franco, and Autumn DeWoody (2010) used data for 9,279 nonresidential properties in Los Angeles County to investigate whether parking requirements force up the parking supply. They took two approaches to answer this question. First, they compared the number of parking spaces at office buildings with the parking requirements. They found the buildings provided, on average, 97 percent of the spaces that cities required, showing that most developers provide only the required number of spaces. Second, they used data on the sales prices of buildings to compare the marginal cost of a parking space with the resulting increase in a building’s value. For the entire nonresidential sample, the last parking space added $7,500 more to a building’s cost than it added to the building’s value. For service retail, such as restaurants with high parking requirements, the last parking space added $14,700 more to a building’s cost than it added to the building’s value. Minimum parking requirements thus place a heavy economic burden on development by forcing developers to provide parking spaces that lose money. In effect, minimum parking requirements are a tax on building area to subsidize parking. A recent study in New York City also found that most developers build only the minimum number of parking spaces required by zoning. Simon McDonnell, Josiah Madar, and Vicki Been (2011) studied 38 large residential projects in Queens and compared the number of actual spaces in the buildings to the city’s parking requirements. They found the number of parking spaces equaled the minimum parking requirement in 47 percent of the buildings and fell short of the required minimum in another 11 percent. The parking supply exceeded the required minimum by more than 25 percent in only 13 percent of the buildings. They concluded that the city’s parking requirements probably forced most developers to provide either more parking spaces or fewer housing units than the market would have otherwise provided. Randal O’Toole says, “To find out what cities would be like without minimum parking requirements, we must turn to Texas, where counties aren’t even allowed to zone, much less impose minimum parking requirements.” However, even Houston, which does not have zoning, has minimum parking requirements, and they resemble the parking requirements in almost every other city in the United States. Houston requires 1.25 parking spaces for each efficiency apartment in an apartment building, for example, and 1.333 parking spaces for each one-bedroom apartment. Can planners in Houston really predict the “need” for parking at every apartment to one-thousandth of a parking space? Because minimum parking requirements are often the real limit to the density of development, Houston’s parking requirements may help to explain a longstanding mystery in city planning: If Los Angeles has had zoning for a hundred years and Houston has never had zoning, why do they look the same? The vision behind minimum parking requirements is a drive-in utopia, and cities legislate this vision into reality for every new building, regardless of the cost. Off-street parking requirements that satisfy the peak demand for free parking are, in reality, free parking requirements. Most urban planners seem to believe in the immaculate conception of parking demand, and many libertarians seem to believe that market choices reveal consumer preferences for travel by car. For example, O’Toole says, “free parking is a free-market choice,” but this statement neglects the heavy thumb of minimum parking requirements on one side of the scales. The demand for parking was not immaculately conceived, and it does not result from consumer preferences revealed in a fair market. Instead, planning and the market coupled long ago to produce the misbegotten glut of free parking. Drivers who think planners are conspiring against their cars somehow manage to ignore the parking subsidies right under their wheels. Consider, for example, employers in downtown Washington, D.C, who offer free parking for commuters. The market price of commuter parking in the commercial garages near the Capitol averages about $255 a month. Valued at market prices, free parking near the Capitol thus reduces the cost of driving to work by $255 a month. If commuters drive the national average round-trip distance to work of 32 miles a day for 22 days a month, free parking near the Capitol thus reduces the cost of driving to work by 36¢ per mile ($255/22 days/32 miles). According to the American Automobile Association, the average operating cost of a car is about 18¢ per mile. Because the employer’s parking subsidy is twice the operating cost of driving to work, it reduces the out-of-pocket costs of driving to work by two-thirds. Free parking for commuters strongly distorts choices in favor of cars, and it is one example of what I mean by the high cost of free parking. My point, however, is not to criticize employers who offer free parking. I will, however, criticize the federal tax policy that encourages the decision to subsidize free parking. The Internal Revenue Code creates the incentive to offer free parking at work by exempting the subsidy from both income and payroll taxes. The Internal Revenue Code encourages all employers to convert taxable wages into nontaxable parking subsidies. With the average 19 percent federal marginal income tax rate and the average 6.5 percent state marginal income tax rate, a commuter faces a 25.5 percent combined marginal income tax rate. Social Security and Medicare add an additional payroll tax rate of 7.65 percent, so a typical commuter’s marginal tax rate on earned income is about 33 percent. Employers (even tax-exempt Cato) also pay 7.65 percent in payroll taxes. Therefore, the total marginal tax rate on earned income is about 40 percent. Converting $100/month of taxable salary into a tax-exempt parking subsidy of $100/month thus saves the commuter $33 and saves the employer $7.65. This tax subsidy is a strong incentive for every employer to offer free parking at work and thus subsidize driving to work. It also helps to explain why 95 percent of all automobile commuters in the United States park free at work. Unwise tax policy distorts the employers’ choices about transportation fringe benefits, and in turn the employers’ misguided fringe benefits distort commuters’ transportation decisions. Employer-paid parking is the most common tax-exempt fringe benefit in the U.S., but it is also an anomaly. Most tax exemptions are intended to promote a public purpose, but the tax exemption for employer-paid parking encourages solo driving to work. Parking cash out can eliminate this price distortion caused by employer-paid parking. Offering commuters the choice between a parking subsidy or its cash equivalent makes it clear that even free parking has a cost—the foregone cash. The option to cash out employer-paid parking thus raises the effective price of commuter parking without charging for it. Drivers can continue to park free at work, but the option to take cash instead of free parking rewards commuters who do not drive to work. Parking cash out therefore increases the share of commuters who carpool, ride public transit, walk, or bike to work. Parking cash out is a market-oriented policy that does not mandate parking charges because commuters who choose to drive can still park free. Rather, parking cash out simply gives the same subsidy to every commuter, regardless of travel mode choice, while free parking gives a subsidy to drivers and nothing to other commuters. Parking cash out also expands the range of individual choice, a core value for libertarians. A bill now in Congress would alter the Internal Revenue Code to reduce the price distortion in favor of free parking. Section 5 of H.R. 3271 would include parking cash out as a condition to qualify for the tax exemption for employer paid parking. That is, free parking would be a tax exempt fringe benefit if employers offer commuters the option to cash it out. The bill would allow commuters to make their transportation choices at fair market prices. Stop the parking meter hike! Make the rich pay, not the workers! Don’t squeeze workers and small business. This is a tax on the people! It’s time to organize and defeat the parking meter robbery! The ANSWER Coalition opposes foreign wars for oil but supports free parking at home, and this sort of confusion is common in debates about parking policy. Thinking about parking seems to take place in the reptilian cortex, the most primitive part of the brain responsible for making snap decisions about urgent fight-or-flight choices, such as how to avoid being eaten. The reptilian cortex is said to govern instinctive behavior involved in aggression, dominance, territoriality, and ritual display—all important factors in debating about parking policies. Everyone’s critical and analytic faculties seem to shift to a lower level when they think about parking. Some strongly support market prices—except for parking. Some vehemently oppose subsidies—except for parking. Some abhor strict planning regulations—except for parking. Some insist on rigorous data collection and statistical tests—except for parking. This parking exceptionalism has impoverished our thinking about parking policies. The ANSWER Coalition’s criticism of SFpark is misguided. Thirty percent of households in San Francisco don’t own a car, and the city uses all the parking meter revenue to subsidize public transit. Many poor people ride buses that are mired in traffic congested by richer drivers who are cruising for underpriced curb parking. We should be suspicious of any subsidy that is said to help the poor by helping everyone. The richest 20 percent of the population seems to consume at least 40 percent of everything—including cars, gasoline, and parking. As a result, the rich will probably get the lion’s share of any parking subsidy. If you own a car, you obviously need a parking space, but owning a car doesn’t prove that you need a car, just as owning three cars doesn’t prove that you need three cars. And if you own a car, why is someone else responsible for providing the parking spaces you need, at no cost to you? You pay every time you board a bus, and that makes you think about whether you want to ride the bus. If you also paid every time you pulled into a parking space (which can be extremely expensive to provide), you would also think about whether you want to drive. Free parking doesn’t mean free markets; it often means freeloading. Drivers who don’t want to pay for parking often push poor people out in front of them like human shields, claiming that charging for parking will hurt the poor. Free curb parking limits the revenue available to pay for public services, and poor people are less able to replace public services with private purchases the way richer people can. The poorest people cannot afford cars, but they can benefit from public services—such as public transportation—that are financed by parking revenues. Using curb parking revenue to pay for local public services is much fairer than keeping curb parking free and requiring ample off-street parking. Market prices for curb parking may make sense in both theory and practice, but they are tough to sell politically. Paying for parking is a “grudge purchase” in marketing terminology—a purchase the buyer does not want to make, such as repairing a car after an accident. For some people, the idea of charging market prices for curb parking amounts to a thought crime. After all, taxes have already paid for the streets, so why should drivers have to pay even more to park on them? Nobody wants to pay for parking, but some cities have found strong political support for parking meters by using the meter revenue to pay for local public services the residents want. To accomplish the goal of managing the supply of parking and to make it reasonably available when and where needed, a target occupancy rate of eighty-five percent (85%) is hereby established. The Parking Manager shall survey the average occupancy for each parking area in the Downtown Meter Zone that has parking meters. Based on the survey results, the Parking Manager shall adjust the rates up or down in twenty-five cent ($0.25) intervals to seek to achieve the target occupancy rate. Revenues generated from on-street and off-street parking within the Downtown Meter Zone boundaries shall be accounted for separately from other City funds and may be used only … within or for the benefit of the Downtown Core Meter Zone. Eugene, Oregon, has pioneered a particularly ingenious way to return benefits to a neighborhood. The University of Oregon wanted to build a new $227 million basketball arena, but residents of the nearby Fairmont neighborhood were concerned that events at the arena would attract drivers who would occupy all the on-street parking during games. But residents also did not want to pay for a permit district to solve a problem created by the new arena. In 2010, the City of Eugene and the University of Oregon worked together to create an Event Parking District near the arena. The university can sell 500 event-day parking permits in the district for up to 22 events a year at the arena. Unlike a conventional permit district where residents pay for their permits, residents receive two free residential permits per property in the Event Permit District, and they can buy additional permits at the market price. The university charges ticket holders $8 to $10 for event parking in the permit district on game days and uses the resulting revenue to pay the city the full cost of managing the permit district. If the university does not receive enough revenue from the sale of the event parking permits, it pays the city the difference from its own funds. The Event Parking District creates substantial benefits for everyone. The University avoids the game-day parking crush without building an expensive parking structure that would be underused much of the year. The adjacent neighborhood gets a residential permit district at no cost to the residents. The City of Eugene gets the revenue necessary to manage the district. Eugene’s Event Parking District shows the possibility of a symbiotic relationship between residential neighborhoods and nearby traffic generators. Commercial developments with few on-site parking spaces increase demand for something that nearby neighborhoods can sell to nonresidents: curb parking. Other cities also charge nonresidents for parking in residential permit districts, but Eugene’s program demonstrates the benefits of this policy for land uses that cause short, sharp, and infrequent peaks in parking demand. I certainly agree with Sanford Ikeda’s recommendation that neighborhoods should be able to spend their curb parking revenue on their highest priorities. Some people seem to think that parking meter revenue should go neither into the general fund nor back to the neighborhood but instead into a trust fund for motorists—for example, to build off-street parking garages. But if each neighborhood’s parking meter revenue goes into a trust fund for the neighborhood and the money can be spent for the neighborhood’s highest priorities, such as cleaner and safer sidewalks, residents may soon realize that subsidizing cars is not the best use of their trust fund. Chicago’s meter rates before the privatization were probably far too low. In 2008 they were only $3 an hour in the Loop, $1 an hour in the rest of the CBD, and from 25¢ to 75¢ an hour elsewhere. The concession contract sets caps on the meter rates in 2013 at $6.50 an hour in the Loop, $4 an hour in the rest of the CBD, and $2 an hour everywhere else in the city. From 2014 to 2084, the meter rates can increase only at the rate of inflation. Chicago thus privatized its parking meters without using prices to manage the system properly. Chicago also failed to get the highest possible upfront payment, because limiting meter rate increases after 2013 to the inflation rate must have limited what bidders were willing to pay for the 75-year concession. Even with the price caps, however, the winning bid was $1.16 billion for the 36,000 metered spaces. The parking spaces are thus worth at least $32,000 apiece. Rather than setting caps on future meter rates, a city can set performance goals for a privatized system. For example, the contract could require the concessionaire to set meter rates so that the curb occupancy rate remains between 75 percent and 95 percent on every block for at least a certain number of hours every day, with penalty payments for failure to meet the occupancy goal. If professional operators can manage performance parking more effectively and at lower cost than the city’s staff can, privatization with appropriate performance goals may turn out to be a good way for a city to charge the right prices for curb parking. I agree with Cliff Winston’s comment that privatized curb parking could result in monopolies that charge excessive prices. If the capital and operating costs of curb parking spaces are fixed regardless of the occupancy rate, a private owner will achieve maximum revenue and profits at the occupancy rate where reducing the price to attract additional customers produces no additional revenue, even if many parking spaces are vacant. Commercial parking operators face downward-sloping demand curves because they are in monopolistic competition, and with fixed costs regardless of the occupancy rate, the owner will maximize revenue and profits at the price where the elasticity of demand is unity. If demand is inelastic, raising prices will increase revenue and profits. If demand is elastic, reducing prices will increase revenue and profits. If costs are fixed, maximum profits will accrue only at the price where the elasticity of demand is unity. For that reason, privatizing curb parking without appropriate performance goals could produce a large up-front payment but lead to inefficient results that stem from monopoly pricing. Like burning furniture to stay warm on a cold night, selling city assets to pay current expenses is a bad idea. Some cities are considering more farsighted parking concessions that share the annual revenue rather than maximize the upfront payment. A concession with a professional operator who meets performance goals and shares the resulting revenue with the city can give the city two big advantages: (1) a well-managed parking system, and (2) a perpetual stream of income from market-based user charges, not taxes. Cars dominate nearly every square inch of Mexico City’s public space. Vehicle owners double- and triple-park on the streets, to say nothing of curbs, sidewalks, gardens, alleys, boulevards and bike paths. Crowded cities in India also have problems with sacred cars, although only 14 percent of households in India own a car, and ownership is concentrated among the relatively rich. Many big cities in poor countries have such a high density of people that even a low rate of car ownership per household leads to a high density of cars. If these cities adopt performance prices for curb parking and use the revenue to pay for local public services, never before will so many poor people receive so much public benefit paid for by so few rich people. Even drivers will benefit because performance prices will help solve the two most difficult problems of owning a car in these cities: traffic congestion and parking shortages. Minimum parking requirements increase the supply of off-street parking, regardless of the costs and heedless of the consequences. They represent the hard path to solving the parking problem with asphalt and concrete. In contrast, market-rate prices for curb parking are an alternative soft path to solving the parking problem through better management. If cities adjust the price of curb parking to aim for one or two open spaces on every block, and use the resulting revenue to improve public services on the metered streets, this soft path can greatly improve urban life. Wilson (1997, pp. 19, 20, and 21). City of Chicago (2009, 12–13). City of Chicago, Office of the Inspector General. 2009. “Report of the Inspector General’s Findings and Recommendations: An Analysis of the Lease of the City’s Parking Meters.” Chicago: Office of the Inspector General, June 2, 2009. Cutter, Bowman, Sofia Franco, and Autumn DeWoody. 2010. 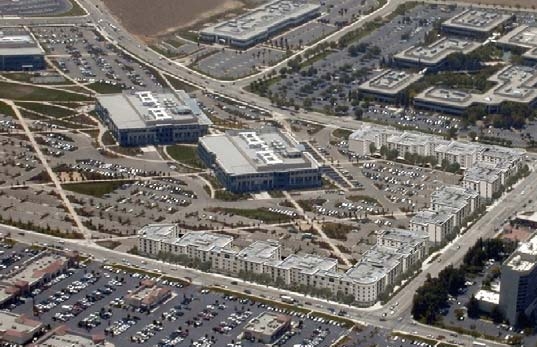 “Do Minimum Parking Requirements Force Developers to Provide More Parking than Privately Optimal?” Working Paper, Pomona College Department of Economics, August 2010. Dickerson, Marla. 2004. “Mexico’s Economy Is Vrooming.” Los Angeles Times, December 26, 2004. McDonnell, Simon, Josiah Madar, and Vicki Been. 2011. “Minimum Parking Requirements and Housing Affordability in New York City.” Housing Policy Debate, 21, no. 1: 45-68. Shoup, Donald. 2005. The High Cost of Free Parking. Chicago: Planners Press. Wilson, James Q.. 1997. “Cars and Their Enemies,” Commentary, July, pp. 17-23. The conceptual basis for parking charges is sound but further serious discussion requires careful and detailed empirical analysis of the efficiency and distributional effects of the policy. I appreciated Professor Shoup’s references to empirical research that has assessed the effects of minimum parking requirements. I hope to see similar work assessing parking charges in the future, or a promising area of policy analysis and perhaps adoption will either be ignored or degenerate into advocacy. Here’s a roundup of some of the most noteworthy conversation stemming from this month’s issue. Much of America is chained to the steering wheel because postwar sprawl — created by government mandated parking lots and interstate highways — made the car the only pleasant way to get around this country. We have the illusion of choice where none exists at all, unless you mean choosing which drive-thru or big box store to visit next. Now, I have no confidence that the good people of San Francisco will elect the kind of cost-conscious public officials who’d use performance parking revenue effectively. But that’s an entirely separate question. The right mayor could use performance parking and congestion charges to slash sales and income taxes and other measures that punish commerce and work rather than congestion. [O’Toole] admits that Texas cities may have zoning and parking minimums but still claims that the counties surely don’t. Putting aside the fact that dense development would be most likely to develop in cities not the counties anyway (I haven’t done the research but I would take the bet that cities are denser than counties despite zoning minimums) and that there appears to be a mechanism by which Texas cities have zoning or similar powers via “municipalities’ extra territorial jurisdictions,” he’s still just missing the mark on the facts. I do not pretend to understand the intricacies of how subdivision and permitting in Texas works but to all appearances they’ve got enough to tip to scale in favor of free parking and dumb growth. [D]ense development – the kind that would benefit from not having to adhere to parking minimums – must occur in already built-up places, so the fact that it’s allowed (which it’s at least sometimes actually not) in places that aren’t built-up is really not very helpful or relevant. O’Toole is basically saying that you can go ahead and build parking-less new developments – as long as it’s in a place that not even the most wide-eyed first-year planning student would think to build. Without actually delving into the codes myself, Michael Lewyn’s study of land use regulation in Houston (academic version here, shorter article here) gives some examples of parking minimums that seem just as high as, if not higher than, the average American zoning code. O’Toole almost seems to be responding to a different article than the one Shoup published. I cannot find a “diatribe against urban sprawl” in Shoup’s essay. Shoup does point out that minimum parking regulations promote sprawl, but that seems hard to deny and in any event does not constitute a “diatribe.” Similarly, I’m hard pressed to find any “rhetoric about the evils of urban parking” in Shoup’s piece. All I see is an argument that minimum parking rules produce more parking than is economically efficient. Again, this is a claim that a Cato scholar should regard as almost self-evident. What’s going on here? O’Toole is right that “American cities are at the heart of a battle over the future of American mobility.” But he’s wrong to think that only one side has enlisted government assistance. As O’Toole notes, some jurisdictions have enacted pro-density regulations like “urban-growth boundaries that create artificial land shortages, maximum-parking limits, and subsidies to high-density development.” But there are plenty of government policies pushing in the other direction. Editors’ Note: Michael Manville is a colleague of Donald Shoup’s at the Urban Planning Department of the University of California, Los Angeles. He sends the following contribution. Somewhere in the world a straw man has received the beating of his life. Randal O’Toole has delivered a powerful rebuttal to a series of points Don Shoup didn’t make. Most of the points Shoup makes, O’Toole agrees with. But O’Toole spends most of his essay disagreeing with things Shoup never brought up. So we learn O’Toole doesn’t like urban growth boundaries, parking maximums, or the “elitist backlash against low-density development.” He is also plainly opposed to Portland’s approach to redevelopment. And he makes a good case that we are better off now than we were in 1900. All fair enough. None of this, however, has anything to do with what Shoup actually wrote. In fact, a lot of it has nothing to do with anything Shoup is even interested in. I have known Don Shoup for ten years (I work with him at UCLA), and I honestly have no idea of his opinions on urban growth boundaries. This is an odd statement, for a few reasons. First is the allusion to nameless enemies. Who are these people trying to reduce our mobility, and where is the evidence Shoup has incited them? For that matter where is the evidence that Shoup finds urban parking evil? I have watched Don Shoup park a car, in a city; if he thought he was performing an evil act, he gave no sign of it. Shoup has certainly made plain that he finds contemporary parking policy counterproductive, even disastrous. But urban parking isn’t urban parking policy, and disastrous isn’t evil. Then there are the ideas, implicit in O’Toole’s argument, that “mobility” must mean automobility and that any reduction in automobility is by definition bad. O’Toole said as much when he criticized Shoup in a recent LA Times article: “I am an economist, and as long as Dr. Shoup is thinking like an economist … our thinking coincides … It is when he starts thinking like an urban planner, trying to change people’s behavior and in particular trying to reduce driving, that we have a problem. … Mobility is valuable, and any limits placed upon it harm people and the economy.”  (The ellipses are in the original; the comment was emailed to the reporter). I’m an urban planner, not an economist. But I know a few economists, and the sentiments above seem wrong to me. Planners and economists differ in plenty of ways. However, I don’t think one of them is that planners try to change people’s behavior and economists don’t. After all, congestion pricing, whose explicit purpose is to change people’s driving behavior, is the brainchild of economists, not planners. I’m also not sure how an economist would evaluate the statement that “any limits” placed on mobility would “harm people and the economy.” Any limits? That’s preposterous. Economic decisions are made at the margin. No economist asks “should we have mobility or not”? The relevant question is whether the next increment of mobility we pay for will have benefits that outweigh its costs. Mobility is certainly a good thing, but the world is full of good things, and tradeoffs are inevitable. Some of the money we spend on mobility might be better spent on other good things, like public health, or scientific research, or police officers. Is it really true that even large improvements in health or safety would be unjustifiable if they resulted in small reductions in mobility? For that matter there are tradeoffs within the broad category of “mobility” itself. Some money we spend on infrastructure for driving might be better spent on other modes of travel. There are people, after all, who are physically or legally unable to drive, or too poor to own vehicles. Public investments in automobility do these people little good, and may in fact do them harm. For example, a city might widen a street to make driving easier, but a wider street can also make walking more difficult and more dangerous. That doesn’t mean we shouldn’t widen the street. But it does mean that simply being a champion of “mobility” isn’t very helpful. More importantly, there is a difference between placing limits on mobility and removing subsidies for it. The fact that parking and driving are important doesn’t mean they should be free. I am entirely in favor of some subsidies for mobility: I think it is wise public policy, for example, to help low-income people acquire cars, and I favor many (though certainly not all) investments in transit service, again primarily to help low-income people get around. But I see no reason for across-the-board subsidies to driving that accrue to rich and poor alike. And here is where I disagree with O’Toole’s assertion that free curb parking is primarily a subsidy to nearby businesses, not to drivers. When government regulations mandate a below-market price for curb parking, cars occupy valuable land for longer than they otherwise would, and low-value parking sessions crowd out high value sessions. Does this subsidy deliver benefits to some nearby businesses? It can, if the businesses rely heavily upon customers who insist on free street parking. But it assuredly does not benefit nearby businesses that rely on high-spending, high-time-value customers, or who count on lots of vehicle turnover in front of their stores. Nor does it benefit landowners if the price-controlled street parking allows lower-value commercial uses to persist where higher-value uses might otherwise thrive. And it doesn’t benefit any type of business if the free street parking is consumed primarily by employees, which happens with depressing frequency. Price-controlled curb parking is a subsidy to lucky drivers, just as rent-controlled housing is a subsidy to lucky renters. Price controls of every kind deliver a direct benefit to the people who are (or should be) confronted with the price. Before closing, I want to turn to O’Toole’s incorrect statement that California requires every city to have an urban growth boundary. Many cities in California have adopted urban containment policies—the urban economist Matthew Kahn and the political scientists Elizabeth Gerber and Todd Phillips have both studied the adoption of these policies by California localities. But there is no state law, to my knowledge, that compels their presence, which is why they are often controversial, and frequently the product of ballot-box zoning. A 2002 survey of 470 California cities by Gerber and Phillips suggests that 85 had some form of urban growth boundary. Further, almost a quarter of these growth boundaries weren’t binding—the boundaries were drawn to include at least 25 years of developable land. Not even SB 375, the recently approved climate change bill that explicitly focuses on changing land use patterns in California in order to reduce greenhouse gas emissions, includes mandated growth boundaries. So where did this statement come from? I don’t know, but if you Google “California require urban growth boundary” you come to the Wikipedia page for “urban growth boundary” which says that “California requires each county to have a Local Agency Formation Commission, which sets urban growth boundaries for each city and town in the county.” The Wikipedia statement, however, is in error. LAFCOs are required to evaluate existing growth boundaries when they make decisions about secessions and annexations, but they do not require cities to have them. In fact, the phrase “urban growth boundary” never appears in the Cortese-Knox-Hertzberg Local Government Reorganization Act of 2000, which is the legislation that empowers LAFCOs. Perhaps I’m missing something, but I find this piece of O’Toole’s argument mysterious. Actually, O’Toole’s entire essay is somewhat puzzling. O’Toole seems to think “mobility” is a sovereign virtue, one whose marginal returns don’t diminish and whose presence is immune to opportunity costs. If that were the case, his fear of a culture war about cars, one that pits him against a powerful group of government and academic elites who want to undo a century’s worth of progress, might be more understandable. But I’m not convinced. Mobility is only one of many goods for which we expend scarce resources, and an unhappy fact of life is that having more of one thing often means having less of another. And yes, governments have enacted a number of policies to reduce congestion and driving. Some of these are sensible, others wrongheaded. But they do not add up to a war. In fact, all of them pale in comparison to the longstanding and ubiquitous laws that prevent congestion charges; that keep curb parking free or underpriced; that mandate the private provision of parking spaces; and that force developers to widen streets if they so much as ask for a variance. Simply by virtue of the price controls they have placed on roads and street parking, governments have made plain which side they are on when it comes to the automobile. American transportation policy would be far saner if we picked off this low-hanging fruit of government regulation. Martha Groves. 2010. “He Puts Parking in Its Place.” Los Angeles Times. October 10. Kahn, Matthew. 2007. “Do California’s Greens Support Compact Cities? Evidence from Transportation and Housing Supply Policy.” Also Elizabeth Gerber and Todd Phillips. 2004. “Direct Democracy and Land Use Policy: Exchanging Public Goods for Development Rights.” Urban Studies. 41(2): 463–479. Gerber, Elizabeth and Todd Phillips. 2005. “Evaluating the Effects if Direct Democracy on Public Policy. California’s Urban Growth Boundaries.” American Politics Research. 33(2):310-330. I agree with Cliff Winston’s call for more research on the effects of charging for parking, but I don’t worry that, without research, the discussion of parking prices will “degenerate into advocacy.” The discussion of parking prices degenerated into advocacy soon after the car was invented. Because all drivers want to park free, almost all the advocacy has been for free parking, and lots of it. Advocacy for market-priced parking has been almost absent and is usually ignored. Advocacy without research can, I agree, lead to a disaster, as with the disaster caused by off-street parking requirements. Research without advocacy, however, may have little effect on public policy. at a level so determined as to keep the amount of parking down sufficiently so that there will almost always be space available for those willing to pay the fee … the meters could be arranged so that whenever more than say 3 out of 20 spaces [15 percent] are vacant, there would be no charge; whenever only 3 spaces are unoccupied, a slight charge would be made; the charge would become higher as more spaces are occupied, and would be quite high if all of the spaces become occupied. Parking should be free when occupancy is less than 85 percent at a zero price because it is then a public good in the sense that the marginal cost of adding another user is zero. But when demand increases, the public good becomes crowded, it takes time to find a vacant space, and the marginal cost of adding another user increases. Because curb parking is in fixed supply, the price must increase to keep spaces available. Curb parking is a congestible public good, with charges needed only when the occupancy would exceed 85 percent at a zero price. The price that achieves an 85-percent occupancy rate is not a “free market” price; it is a public price for a public service, and should be set to achieve the public goals of improving transportation, land use, and the environment. With this pricing policy, Vickrey noted that “there would be an incentive for each parker to park as far as possible in locations where the demand is light, and there will be a natural tendency for the long-term parkers to park somewhat further away from the areas of heaviest demand.” The goal of pricing is to manage parking efficiently, not to achieve a target revenue, but the city does receive whatever revenue results from efficient management. Charging the right price for curb parking will let cities abandon time limits as a way to create parking turnover. Cities can rely on prices alone both to do this and to maintain a few curb vacancies. Prices cannot constantly fluctuate to maintain an occupancy rate of exactly 85 percent, of course, but they can vary sufficiently to avoid chronic overcrowding or underuse. If about 15 percent of spaces are vacant, the price is right. Look to see if your lot is full or empty. If you are full and they are empty, raise your price. If you are empty and they are full, lower your price. Can Prices Manage Curb Parking? If curb parking prices automatically adjust to achieve a target vacancy rate, drivers themselves will set parking prices through their own travel behavior. Curb parking can operate like a normal market—after elected officials have decided on the appropriate vacancy rate needed to make curb parking available without cruising. Prices are a simple way to deliver a message about scarcity, but can they really manage curb parking efficiently? One well-designed and well-evaluated experiment showed that properly priced curb parking not only ensures vacancies but also improves the operation of the entire transportation system. This experiment is by far the most extensive research on the effects of parking prices ever undertaken. Conducted in central London in 1965, it showed the effects of curb parking price increases. The price of curb parking quadrupled in one area, doubled in the second, and remained unchanged in the third. Figure 1. Distribution of New Parking Meter Charges in the London Parking Zones, May 1965 (Source: Inwood 1965). To study how the price changes affected travel times in London, Britain’s Road Research Laboratory conducted 620 park-and-visit tests before and after the price increases. Researchers drove to a chosen address and then recorded the time taken to find a vacant curb space. The driver also recorded the time taken to park the car at the curb, the time taken to walk to and from the address visited, and finally the time taken to unpark the car. The total park-and-visit time therefore measured the added travel time compared with the travel time experienced when drivers can park at the curb near the address they are visiting, without cruising. If at least one parking space remains vacant on every block, drivers do not need to cruise, and they can park close to their destinations. Not spending time cruising and/or walking a long way to the destination decreases the time price that drivers pay for a trip. The time price of travel in London fell when the money price of curb parking increased. The Road Research Laboratory’s drivers visited each of 31 addresses, 10 times before and 10 times after parking prices changed. The addresses were not chosen randomly, but were instead important business and tourist destinations, such as the National Gallery. Fifteen addresses were in an area where the price of curb parking quadrupled to £0.10 an hour (£1.56 or $2.50 an hour in 2002 buying power). Eleven addresses were in the area where the price doubled to £0.05 an hour (£0.78 or $1.25 an hour in 2002), and five were in an area where the price remained unchanged at £0.025 an hour (£0.39 or $0.62 an hour in 2002). Figure 2 shows the average park-and-visit times in the three areas before and after the parking price increases. Where prices quadrupled, the average park-and-visit time declined by 66 percent. Where prices doubled, the average park-and-visit time declined by 38 percent. And where prices did not change, the average park-and-visit time remained almost the same. The reductions in park-and-visit time saved drivers 8.35 minutes of travel time per trip where prices quadrupled, and 3.08 minutes where prices doubled. Figure 2: Park-and-Visit Times before and after Parking Prices Increased in London (minutes per trip). Where parking prices increased, the park-and-visit time fell because all three of its components—cruising, parking, and walking—declined. The reduced search time accounts for most of the reduction in the park-and-visit time. The average search time declined by 83 percent where parking prices quadrupled (see Figure 3), and by 60 percent where parking prices doubled. The elasticity of search time with respect to the price of curb parking was –1.26 where prices quadrupled and –1.18 where prices doubled. These results suggest that, where all curb spaces were occupied, a 10-percent increase in the price of curb parking reduced the average search time necessary to find a parking space by about 12 percent. Figure 3: Park-and-Visit Times before and after Parking Prices Quadrupled in London (minutes per trip). They can reduce their parking durations. They can carpool and split the cost of parking. They can divert some trips to off-peak hours when parking is cheaper. They can make more trips by public transit, cycling, and walking. Each strategy reduces peak-hour parking use. Note especially that diverting trips to walking, cycling, high-occupancy vehicles, and public transit reduces vehicle travel without reducing human travel, and all real travel is by people, not cars. Cruising is not the only form of queuing, of course. When going to a movie you may search for a parking space, wait in line to buy a ticket, wait in another line to gain admission, and then in yet another line to buy popcorn before the movie begins. But these other forms of queuing are different from cruising because they only waste your time. Cruising also congests traffic, wastes fuel, and pollutes the air. Cities thus create serious problems when they underprice curb parking. If cities charge the right price for curb parking, drivers will always be able to find a convenient place to park at their destination, without cruising. “Get the prices right” is an axiom in public economics, and the right price for curb parking is the lowest price that will keep a few spaces vacant everywhere. But if cities charge the wrong price for curb parking, drivers waste an astonishing amount of time and fuel in cruising, and create a catastrophic amount of traffic congestion and air pollution. Inwood, J. 1966. Some Effects of Increased Parking Meter Charges in London, Harmondsworth: Road Research Laboratory. Vickrey, William. 1954. “The Economizing of Curb Parking Space,” Traffic Engineering, November, pp. 62-67. Later incorporated in testimony to the Joint Committee on Washington, DC, Metropolitan Problems in 1959, which was republished in the Journal of Urban Economics, Vol. 36, 1994, 42-65. Vickrey, William. 1993. “My Innovative Failures in Economics,” Atlantic Economic Journal, Vol. 21, No. 1, March, pp. 1-9. While I do largely agree with Professor Shoup’s proposals, and I’m pleased that he seems to like my case for fuller privatization, I did list six points on which, to a greater or lesser degree, I take issue with him. Unfortunately, Professor Shoup evidently thinks them not worth addressing. Does he really believe, to take one of those points, that zero-price curbside parking is “the most disastrous experiment ever in social engineering”? But that kind of hyperbole seems to match Randal O’Toole’s over-the-top response, which I think Professor Manville neatly summarizes as “ ‘mobility’ must mean automobility” and that there seems to be no difference to him “between placing limits on mobility and removing subsidies for it” (all emphases in original). As an economist I’m neither for nor against the car, nor for nor against urban sprawl (we’ve always had it), nor for nor against zero-price parking. What I am for is the market discovery process, and what I’m against is government piling intervention on intervention when a property-rights solution is possible. Moreover, I’m against government policies that subsidize the car, that promote low-density development (and that doesn’t mean I’m somehow a stealth New Urbanist/Smart Growther); and I’m against government control of privatizable property that prevents the emergence of market prices. I’m for freedom of choice, and that requires the fullest extension of tradable private-property rights. Both Professors Shoup and O’Toole seem to think they know what the “free-market solution” will be: for the former it’s expenditure on sidewalk repair and for the latter it’s more spending on parking. My position is that the market is radically creative and so, absent perfect knowledge, it’s pretentious to think we know how a free people would use their wealth. Clifford Winston, whom I first came to know for his excellent work on airline deregulation, does raise a legitimate concern that privatizing curbside parking could result in market power. Given locational monopoly, a well-placed neighborhood might be in a position to charge monopoly rents. Two responses. First, such a neighborhood would still face competition from similarly situated neighborhoods, which might constrain, though perhaps not remove, market power. More importantly, however, over time, if there are substantial rents, well, that’s when we could very well see the re-emergence of things like off-street parking (sans regulatory parking minimums) or even market-based forms of mass transit that eliminate the need for parking, such as buses and jitneys, which I discuss in my comment, or even light rail. Second, market power may not be so bad compared to the status quo. Those monopoly rents already exist even with zero-price curbside parking don’t they? The rent collectors are the lucky motorists who get a parking space; the losers are those who would gladly have paid even super-competitive prices to park, but can’t because there’s no market. So the relevant question is: How do the spaces get allocated—on the basis of random chance or willingness to pay? I submit that willingness to pay, even in the presence of locational monopoly, is preferable from an economic point of view to the marketless status quo. Sanford Ikeda makes many good points, and in my first response to him I said, “I certainly agree with Sanford Ikeda’s recommendation that neighborhoods should be able to spend their curb parking revenue on their highest priorities.” I did not respond to his six points where he thinks we may disagree, and I regret that he therefore inferred that I “evidently think them not worth addressing.” So let me try to respond to some of his points. First, I did not say that “zero-price curbside parking is the most disastrous experiment ever in social engineering.” I did say that “Minimum parking requirements may be our most disastrous experiment ever in social engineering.” Minimum parking requirements, not free curb parking, are the social engineering. Free curb parking is a sin of omission—failing to charge the right price for curb parking—while minimum parking requirements are a sin of commission—forcing up the supply of parking at every land use. Second, Ikeda says, “It’s easy to think of quite a few other social-engineering experiments here that have been at least as bad if not orders of magnitude worse: rent control, The Great Society, nation building, slavery.” I confess that I had not considered slavery and nation building (which needs more explanation) as social engineering. As for rent control, it never extended to more than a small share of the housing stock, and it didn’t last long in most cities that tried it. In contrast, cities have imposed minimum parking requirements for almost all housing in the nation for decades. So I do not agree that rent control is “as bad if not orders of magnitude worse” than minimum parking requirements. In The High Cost of Free Parking, I estimated that the total subsidy for off-street parking in 2002 was between $127 billion and $374 billion. Because the U.S. gross domestic product was $10.5 trillion in 2002, the subsidy for off-street parking as a share of the economy amounted to between 1.2 percent and 3.6 percent. This subsidy is huge by any comparison. In 2002, the federal government spent $231 billion for Medicare, and $349 billion for national defense. Can the subsidy for off-street parking be anywhere near that big? Well, why not? Since the 1950s, most American cities have required every new building to provide ample off-street parking. American households now have more cars than drivers, and their cars are parked 95 percent of the time. Because motorists rarely pay anything for parking, their cars live almost rent free. American cars and light trucks logged 2.6 trillion vehicle miles of travel in 2002, so the subsidy for off-street parking ranged between 5¢ a mile (if the subsidy was $127 billion) and 14¢ a mile (if it was $374 billion). If we use the rule of thumb that increasing the gasoline tax by 1¢ a gallon increases gasoline tax revenue by about $1 billion a year, it would take an increase in the gasoline tax of between $1.27 and $3.74 a gallon to offset the subsidy for off-street parking. De-subsidizing off-street parking could thus produce the same effect on travel as increasing the gasoline tax by between $1.27 and $3.74 a gallon. Because parking costs so much and motorists pay so little for it, the hidden subsidy for off-street parking is truly gigantic. And then there is the subsidy for on-street parking. The U.S. Department of Commerce estimates that the value of roads is 36 percent of the value of all state and local public infrastructure (which also includes schools, sewers, water supply, residential buildings, equipment, hospitals, and parks). Because curb parking occupies a substantial share of road space, it must be a substantial share of all state and local public infrastructure. Drivers do not pay gasoline taxes while their cars are parked, except perhaps on the gasoline lost through evaporative emissions, which pollute the air. Since drivers do pay gasoline taxes while they are driving, curb spaces are subsidized much more than the travel lanes are. Free curb parking may be the most costly subsidy that American cities provide for most of their citizens. The size of these subsidies for both on-street and off-street parking explain why I said, “Minimum parking requirements may be our most disastrous experiment ever in social engineering, and ceasing to require off-street parking is not social engineering.” I even hedged the statement by using the word may. In my first response, I did not focus on the points where we disagree, and this omission was not because I thought them “not worth addressing.” Instead, I focused on the points where we do agree. After being asked to discuss the points where we disagree, I appreciate the opportunity to make a stronger case for my statement that minimum parking requirements may be our most disastrous experiment ever in social engineering. Dr. Shoup and I agree that governments should eliminate minimum-parking requirements and charge market rates for on-street and other public parking. That said, we have two areas of disagreement. First, Shoup thinks that these changes would have dramatic effects on the amount of driving people do. I think the effects would be trivial, and that the larger effects would be to discourage people from traveling to high-density areas (such as downtowns) where parking is currently below market value. Instead they would go to low-density areas where the market rate for parking is zero. In other words, his policies would promote what planners derisively call “sprawl.” But it really doesn’t matter who is right; let’s fix the policies and find out. Second, I worry that many cities are using Shoup’s research to justify the imposition of maximum-parking limits in many zones, while Shoup thinks this threat is unimportant. It doesn’t take much of a web search to find cities that are imposing maximum-parking limits in at least some zones in the city. Many of these cite Shoup’s work on the evils of minimum-parking requirements, but then compound those evils by proposing the reverse. John Charles, of Oregon’s Cascade Policy Institute, has documented that land next to the stations along Portland’s light-rail lines sometimes remains undeveloped years after the rail lines open. The reason, Charles has shown, is that the city has imposed maximum-parking limits, reasoning that people living next to the rail stations will ride the train rather than drive. Developers, however, know that developments with limited parking end up with high-vacancy rates. Many of the cities proposing maximum-parking limits also cite a paper by Todd Litman of the Victoria Transport Policy Institute. Litman argues strongly for maximum-parking limits and cites five of Shoup’s papers. While Shoup is not responsible for another policy analyst’s work, I hope he would let potential readers of Litman’s paper know that his opposition to minimum-parking requirements does not equate to support for maximum-parking limits. Does Free Parking Increase Driving? O’Toole cites no research to support his two statements, which are both wrong. O’Toole is wrong on the first point because I never said that eliminating parking requirements and charging market rates for curb parking would “have dramatic effects on the amount of driving people do.” In my book I said that if a city removes its parking requirements, the changes will be gradual. Most parking will remain free in the short run because the capital stock is long lived. In the long run, however, no cost is fixed and nothing is free; without off-street parking requirements, the price of parking will rise toward the cost of providing parking spaces. Post-parking-requirement cities will become more compact and less automobile dependent over time. Automobile dependency resembles addiction to smoking, and free parking is like free cigarettes. More people would get into the habit of heavy smoking if cigarettes were free, and their addiction would be hard to break even if the subsidies for smoking were removed. Automobile dependency will also be hard to break even if parking subsidies are removed. Cities will adjust slowly to the removal of parking requirements because new development will occur in the midst of a largely car-oriented society. Off-street parking requirements have cemented many planning mistakes into the built environment, and it will take decades for cities to recover from the damage. Cruising for parking is unwanted driving because the drivers have already arrived at their destinations and are waiting in traffic to find an open curb space, like hawks hunting for prey. I conducted a year-long research project on cruising for parking in Westwood Village, a 15-block business district next to UCLA. The average cruising time to find a curb space was 3.3 minutes, and the average cruising distance was half a mile (about 2.5 times around the block). The small distances cruised by each driver add up quickly because the turnover rate for curb parking was 17 cars per space per day. With 470 metered parking spaces in the Village, almost 8,000 cars park at the curb each day (17 x 470). Because so many cars park at the curb, a short cruising time for each driver creates an amazing amount of traffic. Although the average driver cruises only half a mile before parking, cruising around the 15 blocks in the Village creates almost 4,000 vehicle miles traveled (VMT) every weekday (8,000 x 0.5). Over a year, cruising in Westwood Village creates 950,000 excess VMT—equivalent to 38 trips around the earth, or four trips to the moon. The obvious waste of time and fuel is even more appalling when we consider the low speed and fuel efficiency of cruising cars. Because drivers average about 10 miles an hour in the Village, cruising 950,000 miles a year wastes about 95,000 hours (11 years) of drivers’ time every year. And here’s another inconvenient truth about underpriced curb parking: cruising 950,000 miles wastes 47,000 gallons of gasoline and produces 730 tons of CO2 emissions in a small business district. In areas where a lot of the traffic is cruising for underpriced curb parking, I suspect that market-priced curb parking would quickly reduce VMT. Like good and bad cholesterol, maybe we should distinguish between good and bad VMT. Underpriced curb parking encourages bad VMT because people drive around without going anywhere. Market-priced curb parking enables good VMT because people drive directly to their destinations. Cruising creates bad VMT in dense cities all over the earth. O’Toole mentioned in an earlier message that “Shoup’s work is biased by his residency in Los Angeles, the nation’s densest urban area.” Perhaps I am biased by living in Los Angeles, but O’Toole may also be biased by living in Camp Sherman, a hamlet in rural Oregon where drivers never pay anything for parking and have no daily experience with how a commercial parking market works or how parking subsidies affect travel decisions. Will Removing Minimum Parking Requirements Discourage People from Traveling to High-Density Areas? O’Toole also says that removing minimum parking requirements and charging market prices for curb parking will “discourage people from traveling to high-density areas (such as downtowns) where parking is currently below market value. Instead they would go to low-density areas where the market rate for parking is zero.” Is this statement true? The simplest way to test O’Toole’s claim is to compare cities with and without off-street parking requirements in their Central Business Districts (CBDs). Boston, Chicago, New York, and San Francisco have no minimum parking requirements in the CBD, while Detroit, Houston, Los Angeles, and Phoenix do have minimum parking requirements in the CBD. Which cities would you say have more people traveling to their CBDs? A successful CBD combines large amounts of labor and capital on a small amount of land. CBDs thrive on high density because the prime advantage they offer over other parts of a metropolitan area is proximity—the immediate availability of a wide variety of activities. The clustering of museums, theaters, restaurants, and offices is the commodity a downtown can offer but other areas cannot. Yet downtowns have long been plagued by questions about access, for they can either thrive on or be destroyed by congestion. In order to thrive, a CBD must receive a critical mass of people every day but do so without clogging itself to the point of paralysis. By attracting more cars, off-street parking requirements can strangle the streets of CBDs with congestion, and the required parking spaces have high costs. It’s not hard to see how a conventional parking lot can undermine a CBD’s success; a downtown surface lot often has a very high and very visible opportunity cost. Instead of a building teeming with activity there is an expanse of asphalt with one employee manning a booth; where there could be something there is instead not much. But even when off-street parking is dressed up or hidden—when it is placed underground, or in a structure that has retail uses at the street level—it is inimical to density. Because land is most expensive in the CBD, off-street parking is also most expensive there, and constructing it uses up capital that could otherwise be invested more productively. More important, if off-street parking is required, as it is in many cities, then it becomes rational for firms to locate in places where land is less expensive, meaning it becomes rational to locate outside the CBD. A parking requirement that is applied uniformly across a city, in other words, implicitly discriminates against development in the CBD, because the burden of complying with the requirement is greater in the CBD than it is almost anywhere else. The impact of parking requirements becomes clearer when we compare the parking requirements of San Francisco and Los Angeles. San Francisco limits off-street parking, while LA requires it. Take, for example, the different parking requirements for concert halls. For a downtown concert hall, Los Angeles requires, as a minimum, fifty times more parking than San Francisco allows as its maximum. Thus the San Francisco Symphony built its home, Louise Davies Hall, without a parking garage, while Disney Hall, the new home of the Los Angeles Philharmonic, did not open until seven years after its parking garage was built. Disney Hall’s six-level, 2,188-space underground garage cost $110 million to build (about $50,000 per space). Financially troubled Los Angeles County, which built the garage, went into debt to finance it, expecting that parking revenues would repay the borrowed money. But the garage was completed in 1996, and Disney Hall—which suffered from a budget less grand than its vision—became knotted in delays and didn’t open until late 2003. During the seven years in between, parking revenue fell far short of debt payments (few people park in an underground structure if there is nothing above it) and the county, by that point nearly bankrupt, had to subsidize the garage even as it laid employees off. The money spent on parking shifted Disney Hall’s design toward drivers and away from pedestrians. The presence of a six-story subterranean garage means most concert patrons arrive from underneath the hall, rather than from the sidewalk. The hall’s designers clearly understood this, and so while the hall has a fairly impressive street entrance, its more magisterial gateway is an “escalator cascade” that flows up from the parking structure and ends in the foyer. This has profound implications for street life. A concertgoer can now drive to Disney Hall, park beneath it, ride up into it, see a show, and then reverse the whole process—and never set foot on a sidewalk in downtown LA. The full experience of an iconic Los Angeles building begins and ends in its parking garage, not in the city itself. Michael Manville and Donald Shoup, “People, Parking, and Cities,” Journal of Urban Planning and Development, Vol. 131, No. 4, December 2005, pp. 233-245. Donald Shoup, The High Cost of Free Parking, Chicago: Planners Press, 2005. Donald Shoup, “The Trouble with Minimum Parking Requirements,” Transportation Research Part A: Policy and Practice, Vol. 33A, Nos. 7/8, September/November1999, pp. 549–574. Donald Shoup, “Cruising for Parking,” Transport Policy, Vol. 13, No. 6, November 2006, pp. 479–486. Donald Shoup, “The Ideal Source of Local Public Revenue,” Regional Science and Urban Economics, Vol. 34, No. 6, November 2004, pp. 753-784.